One of my new joys this year has been joining my firstborn Grandson for Christian Rock Concerts. I do love music and I love to be "actively involved" in worship. In other words, I like to jump up and down and lift my hands and Praise the Lord! I have not gotten too old to do it yet and I pray that I never do! The very fact that my GRANDSON wants to go with me makes me jump up and down!! Our most recent adventure together was "Winter Jam" here in Tampa. We waited in line for over 3 hours along with over 2o,000 other people!! YES-- I said 20,000!!!!! It was awesome! We saw Tenth Ave North, Newsong, News Boys, and my personal favorite, Third Day. There were multiple opportunities available throughout the night to join one of the many world wide efforts that have been generated to respond to the tragedy and loss of lives in Haiti, including a Love Offering gathered from 20,000 GOD Loving, LIFE loving, COMPASSIONATE people. There is barely a way to actually wrap your brain around such pain, loss and death as what we have watched unfold in Haiti. We respond the way that Jesus told us to respond and by the example He set--we give, we act, we love, we cry. When we look at children starving in the streets and the arms of trapped men and women stuffed between layers of concrete, we respond. Our hearts break, we sit in front of TV news and newspapers and cry. We park semi trailers in parking lots to gather clothes and food. We fight for the protection of the children and long to bring them into the safety of our homes. Every Life Matters and it should. I have set before you LIFE and DEATH, CHOOSE life!! Each time a horrific loss of life such as this one is placed before our eyes, people respond. People cry. It occurred to me as I have prepared my post for this week, that each year as we approach another anniversary of the legalization of abortion in America, how often there is some National or World tragedy going on that makes me reflect even more deeply on the value of human life and how we as Christians respond so fervently to one tragedy but not so much another. January 22, 2010 marks the 37th Anniversary of legalized abortion in America. Conservative estimates project that in America, we ABORT in the neighborhood of 1,0000,000 babies every year. That amounts to over 50,000,000 innocent babies have been AND CONTINUE TO BE DAILY--torn apart in the womb right here in America. Where are the "Love Offerings"? Where is the National News? That 55,000,000 equates to 110,000 Mommies and Daddies lost in a social lie, a multi-BILLION dollar industry, a political quagmire. 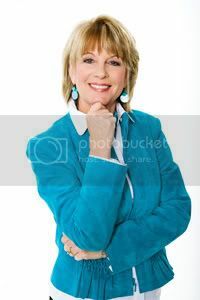 I read a quote by Francis Shaeffer that said, "There should be a sign in front of every abortion clinic that reads: Open by Permission of the Church". Do you feel that church is responding to the tragedy of abortion? What does your Church do to address the horrific loss of life by abortion? 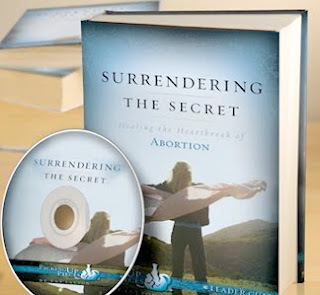 Do you take up "Love Offerings" for Crisis Pregnancy Centers offering a Christian alternative to abortion? How do YOU feel this tragedy compares to the horror that happened in Haiti in terms of our Christian responsibility? Is anyone crying over the innocent lives lost last year to abortion in America?? 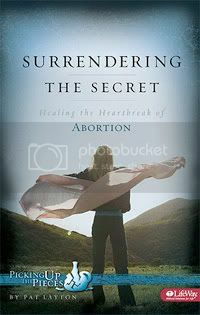 "Surrendering the Secret "is a Post Abortion Recovery Bible Study published by Lifeway in 2008. If you or someone you know is crying about a previous abortion, we want to help.